Consumption of whole grains, like wheat, can not only improve health but can also help with the maintenance of a healthy body weight. Whole grains are full of nutrients such as antioxidants, fibre, minerals, and vitamins. “Apart from the two percent of the population who suffer from coeliac disease or other sensitivities or intolerance to wheat, there is overwhelming evidence of clear health benefits of a whole grain based diets featuring store cupboard staples such as bread and cereal made from lightly processed wheat. Epidemiological studies also show that the consumption of whole grains is linked to reduced risk of diabetes, obesity, cancer, and cardiovascular diseases. Whole grains contain a range of components which act synergistically to improve immune support, bowel function and more protect us against disease such as gastrointestinal cancers. Of the main staples, wheat has the highest protein content, oats the highest fat content and rice the highest carbohydrate content. Otherwise, the nutritional value of these grains is high and so in a typical diet there is unlikely to be any significant difference between them. 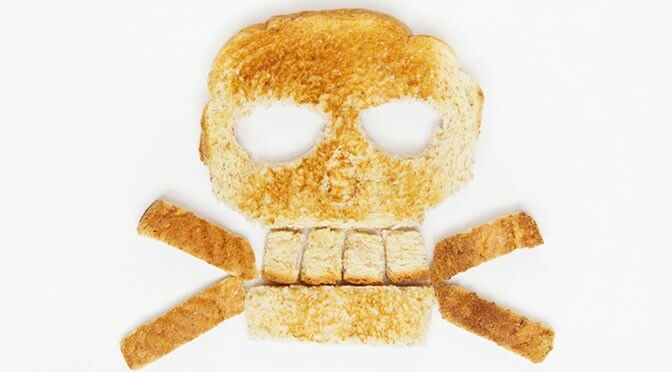 Gluten-free or wheat-free diets are popular nowadays, often endorsed by celebrities or athletes. But the evidence for the health benefits of wheat-free diets is either slim or selectively used. There’s little doubt that carbohydrate-free diets can, in the short term, result in body weight loss. But the real factors contributing to weight loss in the long-term have been ignored. “The argument is sometimes advanced that humans were not designed to eat certain food types. This is erroneous as humans were not designed for anything but evolve to their environment and adapted to the available food. The success of Homo sapiens is testament to that adaptive ability.